I have been very busy lately working on various projects. Also, I have been surprised by the large number of enquiries in what I had previously thought to be the quietest part of the year. 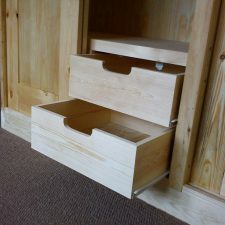 This project was completed a few weeks ago, so here are a couple of photographs showing the finished piece. 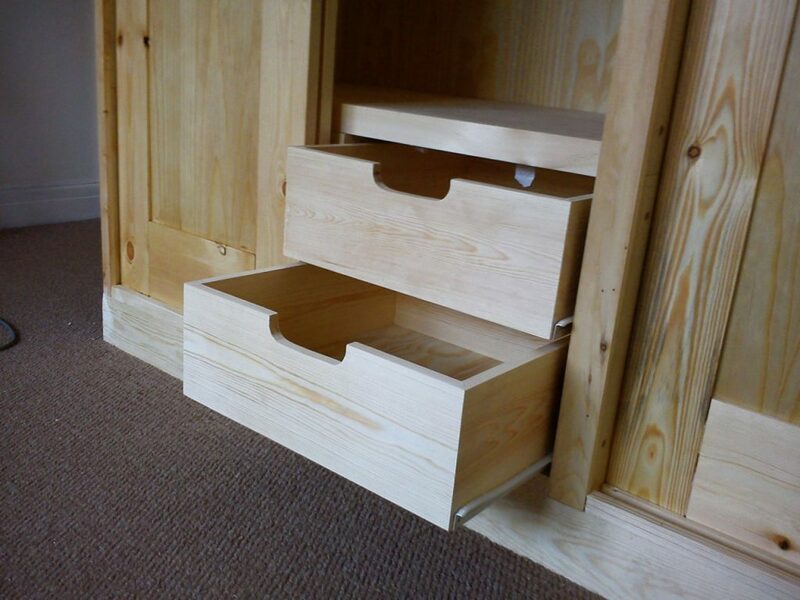 The cabinets each contain four drawers and a hanging-rail. 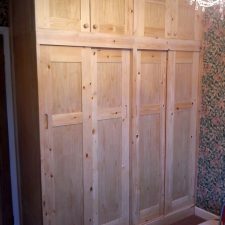 The panelled doors slide to open, helping to save some space in a small room. 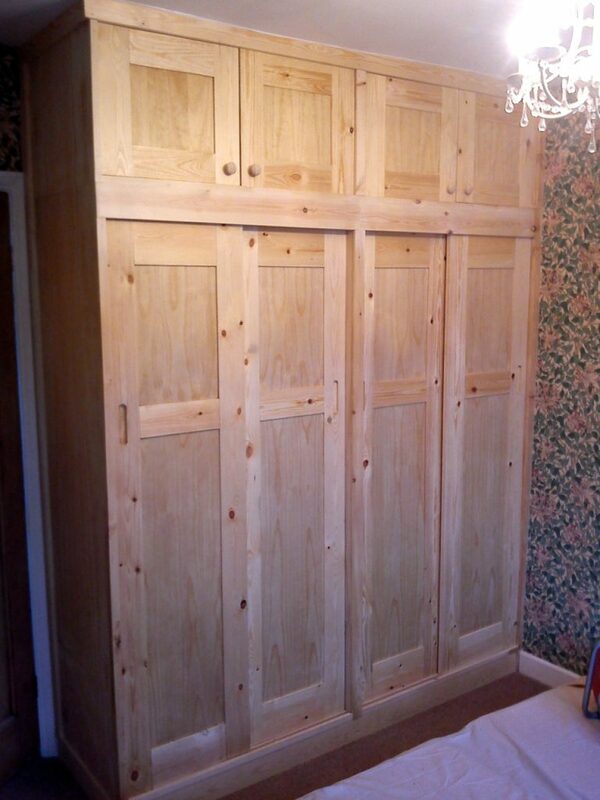 This entry was posted in Wardrobes & Cabinets and tagged Cabinets, drawers, fitted furniture, pine, wardrobe. Bookmark the permalink.